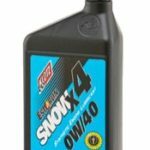 Amsoil Dominator Synthetic 2-cycle Oil-Gallon | Goodwin Performance, Inc. – Snowmobiles, Snowcross, High Performance Clutches, Suspension, Service, and More! View cart “Klotz TC-W3 Techniplate Oil -Quart” has been added to your cart. SKU: tdr-2. Categories: Amsoil, Lube & Cleaners. 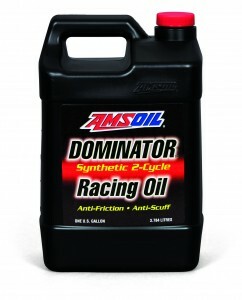 New AMSOIL DOMINATOR Synthetic 2-Cycle Racing Oil is a robust formulation specially engineered for unsurpassed protection in high performance two-cycle motors, both on and off the track. 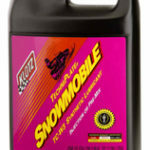 It contains heavier synthetic base oils that provide more lubricity for “on the edge” operation. DOMINATOR reduces friction and protects pistons and bearings subjected to the rigors of racing. DOMINATOR contains the right additives for clean motor operation. 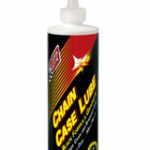 Recommended for use with exhaust power valves and high octane racing fuel. DOMINATOR also provides excellent protection at 50:1 premix or injection systems.